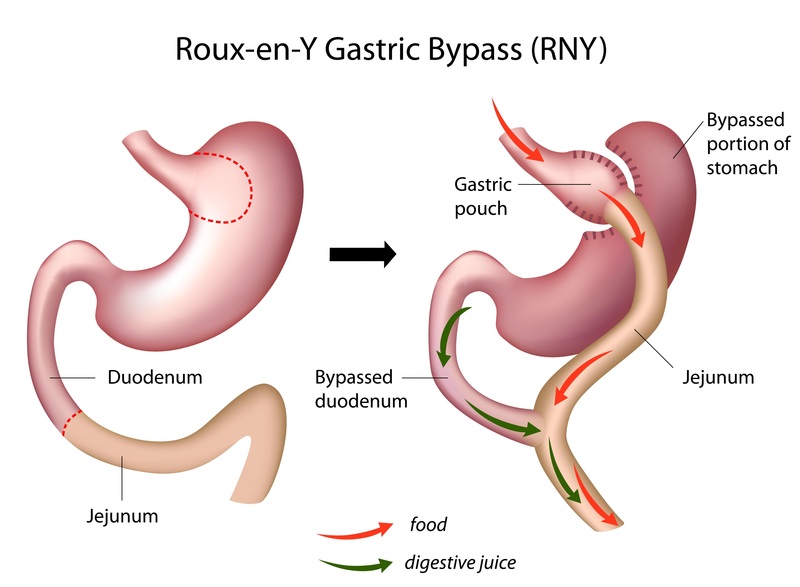 The gastric bypass is a restrictive procedure that limits how much patients can eat at one time. It also is a malabsorptive procedure that limits the amount of calories that you consume with each meal. This dual effect will allow for patients to have excellent weight loss results.